Thinking about applying for Dash but not sure yet? Here is a story of from last year’s participant. I had just started my second year of studies as a branding and packaging design student. I had been dreaming about attending a hackathon, but they always appeared to be exclusively for coders. Until last year, that is. 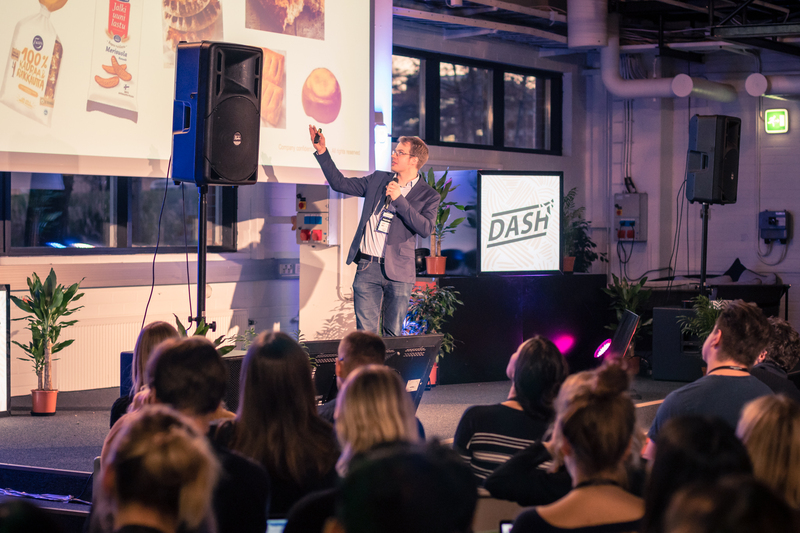 You can probably imagine my excitement when I heard about Dash: I could finally experience a hackathon, the intriguing concept that everyone seemed to be talking about! As I browsed through the different challenges trying to determine which one to apply for, I was glad to discover that all of them came across as rather interesting. They were real life problems faced by diverse companies; problems that needed to be solved through a fresh perspective, through design thinking. My personal goal was to develop my skills in graphic design, ideation and concept creation, so ultimately my choice was the challenge “Insects for Masses”. I wanted to experiment on how much we could affect people’s feelings and prejudices with visual communication. Two weeks before the hackathon we attended the Prep event, where we had the chance to hear interesting lectures about the importance of research, especially as a part of design process. I was secretly very happy about it, because I share the same urge to get to know the very basis of a problem and its causes before trying to tackle them, not just the problem you can see at the first glance. We didn’t get to know our final teams yet, but instead we teamed up with a bunch of my friends from school to make a survey together. We received interesting data and opinions about insects as food, and noticed that majority of the people’s opinions and prejudices differ from ours. The results from the survey helped us to design a solution that properly fits the target group, which I think is the essential nature of design thinking. During the first day of Dash I met my team, which was international and multidisciplinary. Our team’s diverse background turned out to be extremely helpful and valuable since we had marketing, graphic design, interior design, service design and IT skills in our team. In a typical school project I am used to working with just certain kind of people, designers, which has at times lead to quite a narrow perspective on things, lack of in-depth knowledge and even missing some facts without even noticing. 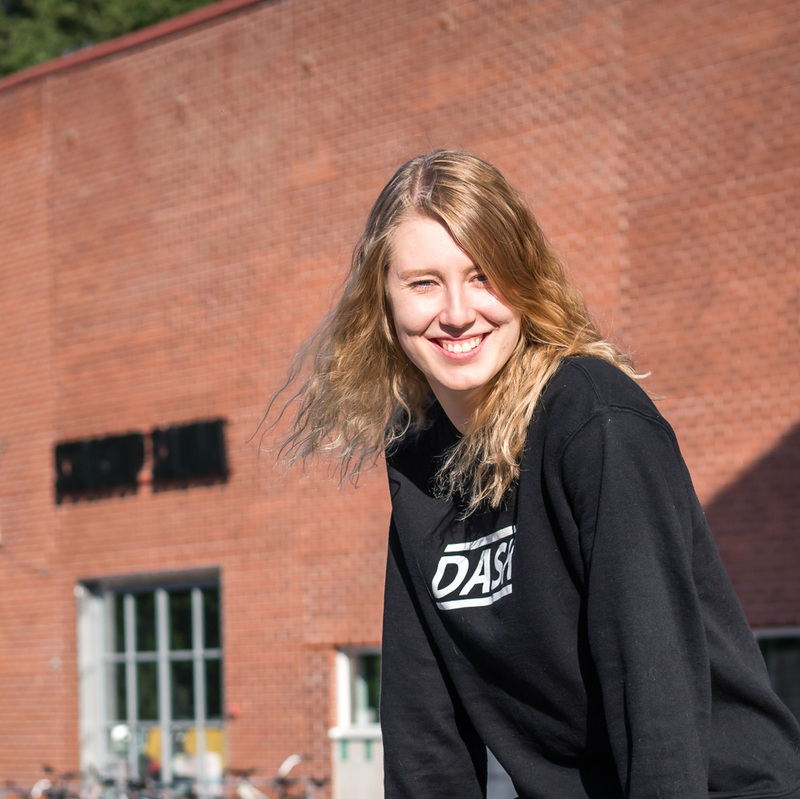 At Dash I didn’t know anyone in my team beforehand, so getting to know all of my teammates and improving my teamwork skills while learning from them was an important part of the journey. One of the most rewarding experiences in the hackathon was to realize how much I had already learned in design school. I got to use some ideation and concept creation tools in practice and also learned a couple of more from my teammates. I noticed that I was able to demonstrate my ideas visually better than I had ever imagined and that I had become more familiar with my strengths and weaknesses. It was also refreshing that the time was limited, because we had to rethink and redo in high speed without stopping. Even when you had the common “I’m never gonna succeed” phase going on during the design process, the best option you had timewise was to take a deep breath and continue without panicking. That is a skill considered highly important in working life, especially when dealing with tight deadlines. The biggest success for me was not the outcome but the process itself. Process of learning, networking, working dynamically as a team and having fun with everything you do regardless of the pressure and time limit. In a nutshell: I like Dash because it has something for everyone. You can set up your own goals and work towards them. Your goal can be anything; coming up with the best possible solution, extending your network for working life, learning from the design process as much as possible or maybe a combination of these. It’s your choice. The way Dash was arranged inspired me so much that I decided to hop on again but this year as part of the team arranging the event. The same cycle of learning has continued on this side as well in the marketing team, where I have worked mostly with branding and graphic design (in other words, my dream job!). I sincerely recommend everyone to apply for Dash, you’ve got nothing to lose. Except for the amazing experience if you don’t apply. I hope that this blog has inspired and encouraged you to pursue what Dash has to offer, can’t wait to see you all there!